Agriculture has come a long way over the millennia in how we farm and grow crops with the constantly improved various technologies introduced. The industry is now turning to AI technologies to help yield healthier crops, control pests, monitor soil and growing conditions, help reduce the workloads, organize data for farmers, and improve a wide range of agriculture-related tasks in the entire food supply chain. 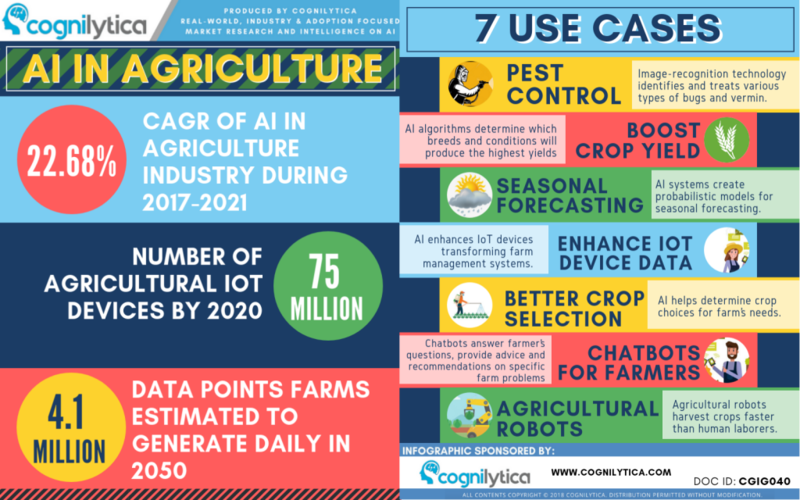 In this infographic Cognilytica explores 7 ways AI is helping in agriculture.